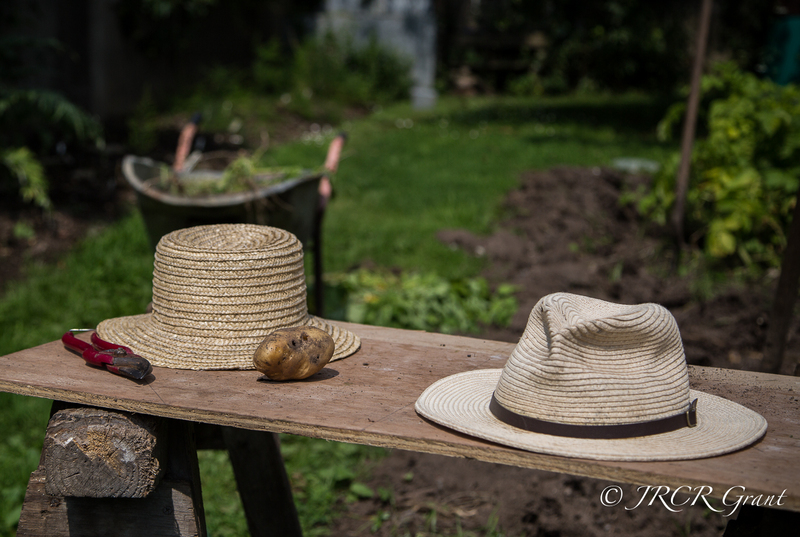 Essential head gear in this summer of ours, as we reap the benefits of our earlier sowing. A day up at the Country Retreat saw plenty of reaping, with the earlier peas and board beans being pulled and their final offerings harvested. The British Queens continue to deliver (despite the look of this besieged specimen on the table), while the courgettes are now delivering some lovely tender fruits. Oh the joy of summer, all washed down with the home-made blackcurrant cordial. So get on out there, enjoy the sunshine. Nice title for the shot! I enjoy the sunshine. And I enjoy your image! Great pic MM. My favourite thing to do! Love the simplicity of this shot! Great summer still life photo!